Check out product information and brochures, case studies, and eBooks. Follow Servato on LinkedIn, Twitter, and visit the Battery Management Blog. A new development in battery management, Adaptive Charging is designed for telecom batteries used in standby systems for Outside Plant and wireless towers. Servato’s unique battery management system extends battery life, lowers costs for battery maintenance, and helps improve network reliability. Download our E-book. As an Internet of Things device, Servato appliances are capable of detecting more than just battery issues. 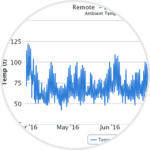 Using the Servato Temperature Probe, Servato can identify problems with fans, heat exchangers, and HVAC units. Excess heat from failed equipment can further damage the batteries at a site if the problems go undetected. 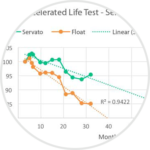 Servato has used third party laboratories and customers to test the battery life extension claims for Adaptive Charging. 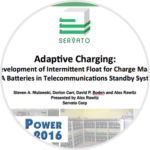 In all settings, the Adaptive Charge Management used by Servato appliances has proven the ability to extend battery life. All indications point to a full doubling of battery life.